As a verb, to batter means ‘to pound something repeatedly or continuously’ and also ‘to beat someone up’ or ‘to abuse physically on an ongoing basis.’ As a noun, batter is a thin mixture of flour, eggs, and milk or water, used in cooking. 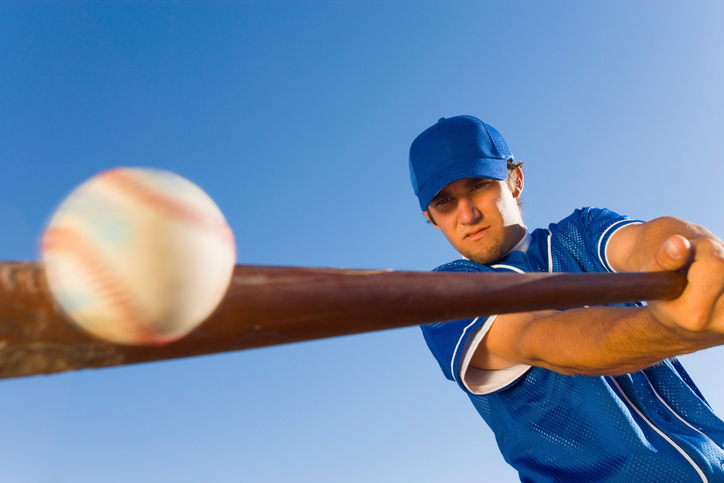 In this sense, to batter means ‘to coat food with this mixture.’ In sports, like cricket or baseball, the batter is the player who swings the bat. The waves battered the shore during the storm. The thieves battered the man until he gave them all his money. The man had been battering his wife for years before he was arrested. Sabina mixed up some batter to make pancakes. Veronica battered the fish before frying it. The batter missed the ball completely. Batter dates back to the early 14th century, as the Middle English verb bateren, meaning ‘to beat violently and rapidly,’ or ‘to strike repeatedly.’ It comes from the Old French batre, first seen in the 11th century, and can be traced back to the Latin verb battuere (to beat or strike), but the Latin word itself was probably borrowed from the Gaulish. Its origin is in the Proto-Indo-European root bhau-, ‘to strike,’ and it is related to the Welsh bathu (beat), the Old English words beadu (battle) beatan (to beat), and bytl (hammer or mallet), and of course the Modern French battre (to batter). The noun, meaning a thin mixture of flour, eggs and milk or water, dates back to the late 14th century. It is related to the verb, but did not come directly from it. Rather, it came from the Old French noun batteure (a beating), which comes from the Latin verb battuere. The other noun sense, the person who holds the bat in some sports, is unrelated, and is a formation of the word bat + er. It first appeared in the late 18th century.